Ramadan’s talk contrasted sharply with the last time he spoke in the Great Hall two years ago. 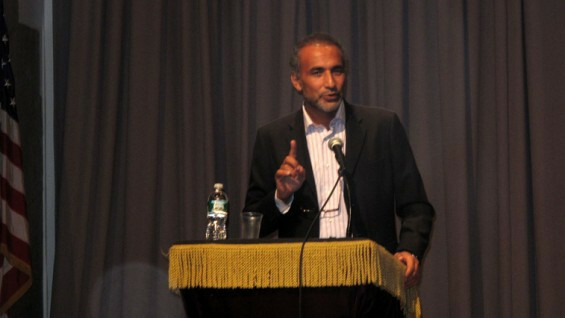 The Swiss-born Professor of Contemporary Islamic Studies at Oxford University made his first public U.S. appearance at the Great Hall in 2010 following a five-year travel ban that began during the Bush administration. A packed, boisterous hall and notable police presence two years ago cooled to a quite, half-filled hall with a handful of Cooper security staff in their usual places. Audience reaction was mixed, even among a crowd comprised of many people of Arab descent. Arslan Rahman of Staten Island described Ramadan’s talk as “very enlightening.” “It was nice to get the intellectual point of view over the usual political pundits,” Rahman said. But Mustafa of Brooklyn thought the talk was merely “okay,” feeling that Ramadan “denied the participation of the people” in the Middle East uprisings. Come October, though, the Great Hall may be back to a high-security zone when the Russell Tribunal rents the space for a two-day session on Palestine.